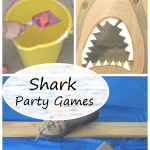 Colder weather is perfect for getting the kids together and trying some fun kids crafts. As the snow is falling and temperatures are dropping, paper snowflakes are always popular. 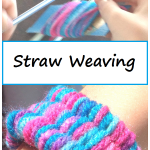 But what other colorful crafts might grab your child’s fancy? February is the month for lots of heart crafts and making homemade Valentines. 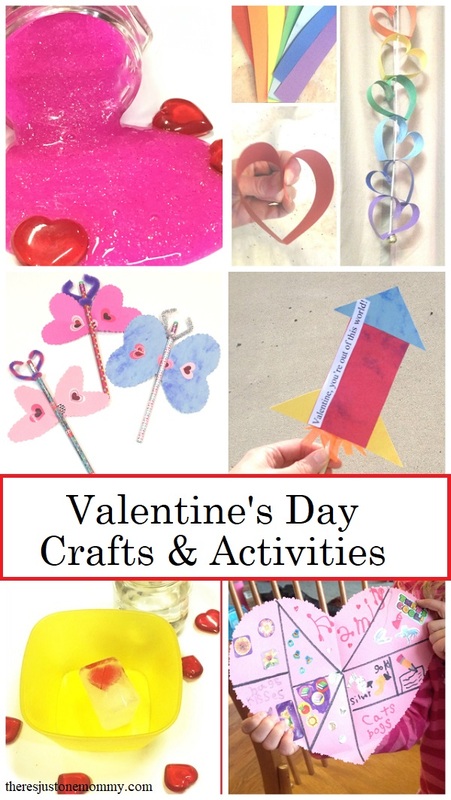 If you are looking for February craft ideas or some other fun February activities to do with kids, these Valentine’s Day crafts for kids and Valentine’s Day activities are sure to please. This February you may want to check out these 50+ Heart Crafts & Activities. 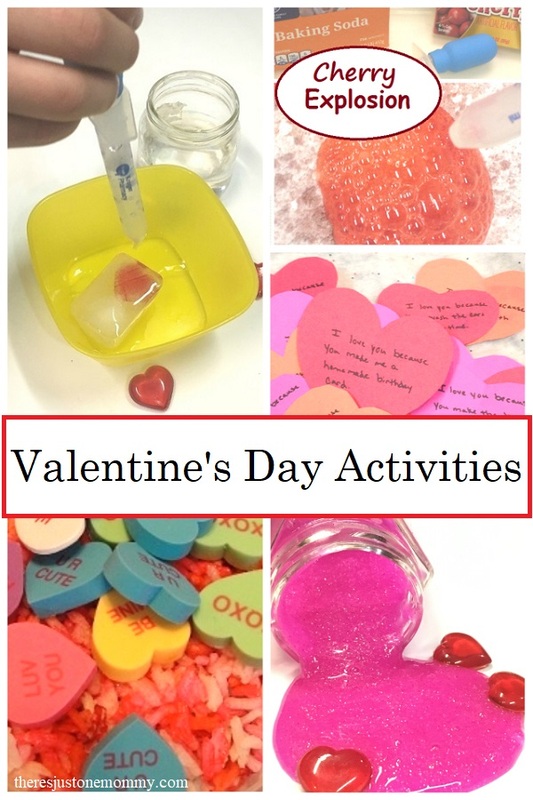 From Valentine’s Day science and heart-themed sensory ideas, to tons of fun crafts, you’ll find a little of everything in this fun post. If you are looking for homemade teacher gifts and Valentine treats to give classmates, be sure to check out these adorable Homemade Heart Gifts and Treats that kids can make. And, remember, not everything has to be pink and frilly and full of hearts. These awesome Valentine’s Day Ideas for Boys are sure to please even your toughest customer. Below you will find even more fun crafts, activities, and homemade Valentines that kids can make this February. Paper Heart Penguin — Who doesn’t love penguins? This adorable penguin is perfect for February. Beautiful Rainbow Heart Garland — This simple homemade garland looks beautiful hanging from the window. Love Tree — With plenty of heart shaped stickers this craft is perfect for toddlers and preschoolers to work on fine motor skills. Valentine’s Day Sun Catcher — Toddlers will love making this simple sun catcher. Heart Cat — Little ones will love making this cute kitty. Heart Animals — What animal will your child make? There are so many fun possibilities! Heart Characters — This silly and zanny craft is sure to make your child smile. And you’ll love the springy legs! Love Bugs — Grab some pom-poms and have fun making a set of these adorable bugs. This love bug craft would be a cute addition to a homemade card. Heart Collage — Kids of all ages will have fun decorating this collage with the things they love. Straw Rocket Valentine — Boys (and girls) will have fun making these cute rocket Valentines that really fly. Silly Heart Valentine — Have a child that’s super crafty? These silly cards are fun to make and are sure to get smiles from those that receive them. Eraser-Stamped Valentine — This DIY Valentine is simple to make and turns our beautiful. Butterfly Valentine — Girls will have fun crafting these sweet butterflies to give to friends and classmates. Holiday Popcorn Ball — Make this simple holiday treat for a Valentine’s Day party. Or, make some with the kids to nibble on after school. DIY Candied Pretzels — These homemade chocolate covered pretzels are the perfect combination of salty and sweet. Chocolate Kiss Mice — Make a couple of these to sneak into your child’s lunch for Valentine’s Day! Get simple and fun kids activities and freebies by subscribing to our newsletter. Melt the Frozen Heart — This is a simple Valentine’s Day science activity that would also be fun for Disney Frozen fans. Valentine’s Day Sweet Shop for Pretend Play — Turn a large box, or a couple boxes, into a fun pretend sweet shop that will inspire hours of play. Valentine’s Day Seek-n-Find Pouch — Create your own heart seek-n-find to entertain kids on the go. Match the Heart Valentine’s Day Sensory Bin — Preschoolers will love matching up the hearts in this sensory play idea for Valentine’s Day. Sparkling Valentine’s Day Slime Recipe — With just 2 ingredients your child will love creating their own glittery slime that is perfect for sensory play or to give as a gift. Valentine’s Day Loose Parts — Playing with loose parts allows kids to explore and use their imaginations. You can easily set up you own loose parts play that is perfect for February. 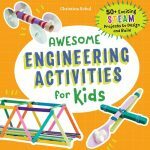 Cherry Explosion: Sweet-Smelling Fizzy Science Fun — Fizzy science is always fun! Here’s a simple twist to an old favorite. 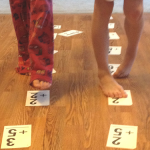 Matching Hearts Math — Here’s a fun Valentine twist to working on math facts this February. 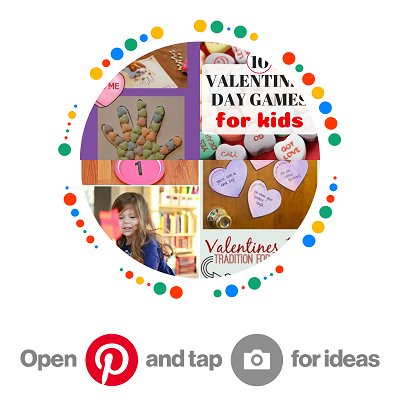 For even more Valentine’s Day ideas for kids, check out my Valentine’s Day pinterest board.